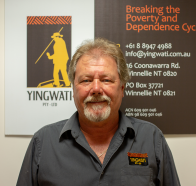 Kim has a strong passion for Indigenous Affairs and is highly committed to making incremental positive changes in Aboriginal communities to improve their economic, social and environmental landscape. 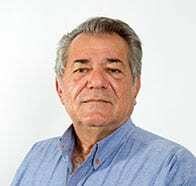 He is highly regarded for having a comprehensive understanding of Aboriginal contemporary issues, programs and Land Rights Tenure issues in the Northern Territory. 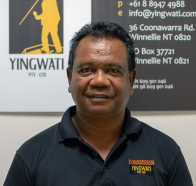 Born and raised in Darwin, growing up in the Tiwi Islands between Nguiu and Garden Point, Kim has a cultural and spiritual affiliation to a few tribal groups including the Ngarrinman, Tiwi, Jingili, Arabuna Clans. Kim is married to Tania Hill who has a cultural affiliation with the Larrakia people and together they can leverage on their Indigenous networks with credibility and integrity. 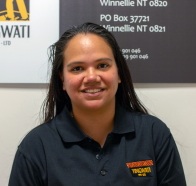 Passionate about the local community and leading by example, Kim is an active member of the Northern Territory community: held various positions with the Northern Territory Government Boards and Advisory Groups. He is a current Board Member of the NT Cricket and Team Health. Ms Hill is eldest daughter of Mr Kim and Tania Hill, born in Darwin and graduated from the Casuarina Senior College with her HSC. She is currently employed as a Remote Officer with the Australian Government – National Disability Insurance Scheme. Ms Hill has 3 children and was appointed by her family as Director to the company due to her commitment to upholding family values and examination of the company policies and procedures and financial operations. 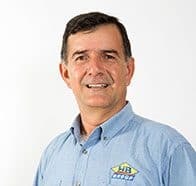 John has made a significant contribution to HB’s expansion from 20 to 150 staff, including the company’s quarry investment and development of the concrete plants. Nick demonstrates strong leadership by consistently being able to make the big decisions and transform ideas into results. He started at HB as a Surveyor’s Assistant in 1986. Now a Director, he works to enable HB Group’s continual development. 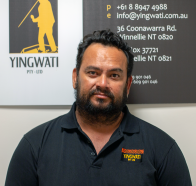 Theo joined the YINGWATI team in 2016 bringing with him a wealth of practical experience in the management of Major Capital Projects up to $70M. Theo is skilled at implementing compliance measures, including all aspect of client reporting requirements. In addition to this, Theo ensures workers have adequate skills and experience to undertake their roles and is qualified to undertake Verification of Competencies onsite. Theo’s zero-harm approach is reflected in YINGWATI’s low Safety incident rates. Locally, Syd was a Site Supervisor with the head contractor, Halikos Group, for the Construction of the Top End’s $17 million, Tennis Centre at Marrara Northern Territory. Whilst working on this project Syd and his crew won a safety award from the Master Builders Association in recognition of a great safety record. During her 16 years plus with Department of Defence, Barbara received a ‘Major General Commander Joint Logistics Commendation Award’ for her exceptional performance as a Quality Manager of the Joint Logistics Unit (North) Darwin. 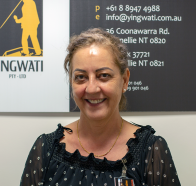 Her hard work and meticulous attention to detail made a significant contribution towards the Unit becoming the first in the Australian Defence Force to achieve third party certification as an Accredited Maintenance Organisation under the Army Technical Regulatory Framework.